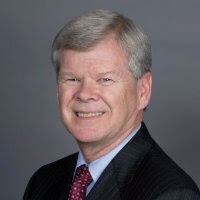 Mr. McLennan joined Sunroad Enterprises as their Chief Financial Officer in January 2011. After receiving a BA in Business with a concentration in Accounting from California State University Fullerton, Mr. McLennan joined the public accounting firm of Kenneth Leventhal & Company (later merged with Ernst & Young) where he remained for 21 years. He became a partner at KL after 10 years, focusing on the real estate industry. He later served as the West Coast Director of Real Estate Consulting for PricewaterhouseCoopers. Upon leaving public accounting, and prior to joining Sunroad, Mr. McLennan served as the CFO of Newland Communities, a major national developer of master planned residential communities and of LNR Commercial Property Group, a major national developer of office, retail, industrial and multi-family. All told, Mr. McLennan has over 35 years of real estate development industry experience.